Mobile phones are very quickly becoming the main screen through which clients interact with your business. According to a study done by the Pew Research Center, 84% of affluent Americans own a smartphone. Of those, 97% said they use smartphones for text messaging, 92% use it for phone calls, 89% for internet access, 88% for email, and 75% for social networking. With statistics like that, you have got to make sure your website is mobile-friendly! 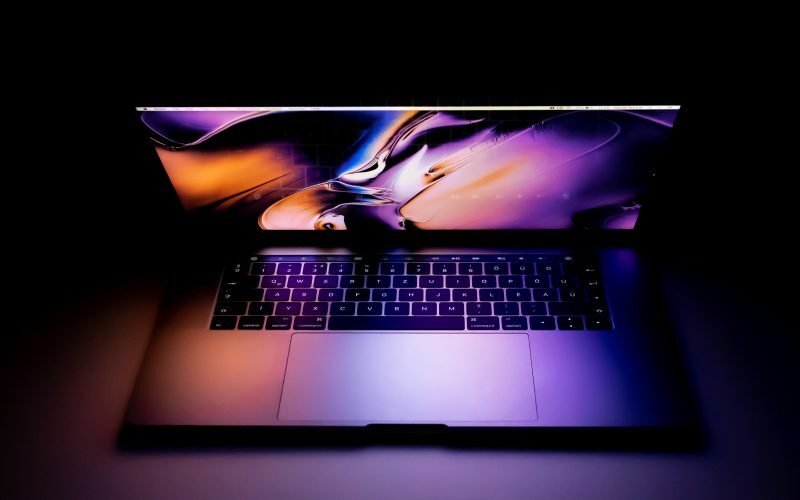 When someone opens your site on-the-go, if the website doesn’t size correctly or is hard to read or scroll, then more than likely, you will lose that prospective client to a competitor. For 10 of the best examples of mobile website design, keep reading! Almost all of our the websites that we design are mobile-friendly, so it was hard to choose, but here are 10 of our top designs! 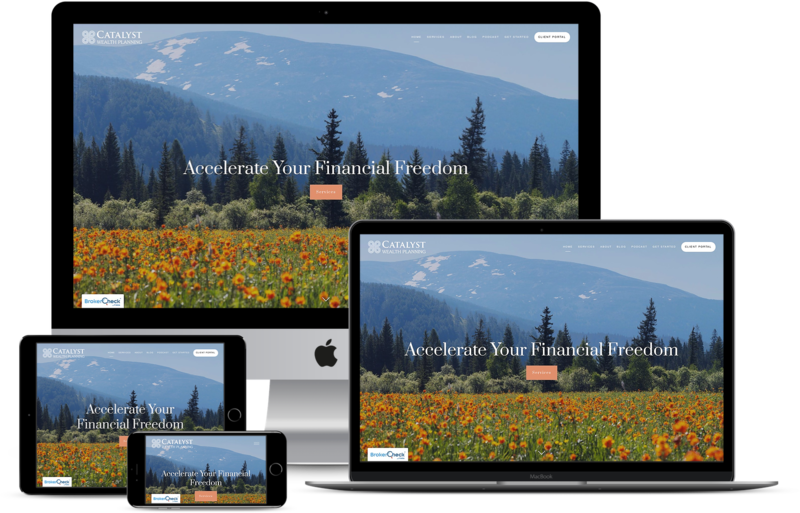 Gold Canyon Financial Planning is a holistic, fee-only, independent, financial planning and investment management firm that serves clients in Arizona and all throughout the United States. They have over 17 years of experience as a registered investment advisory firm and are dedicated to providing financial guidance and wealth management to an array of clients. 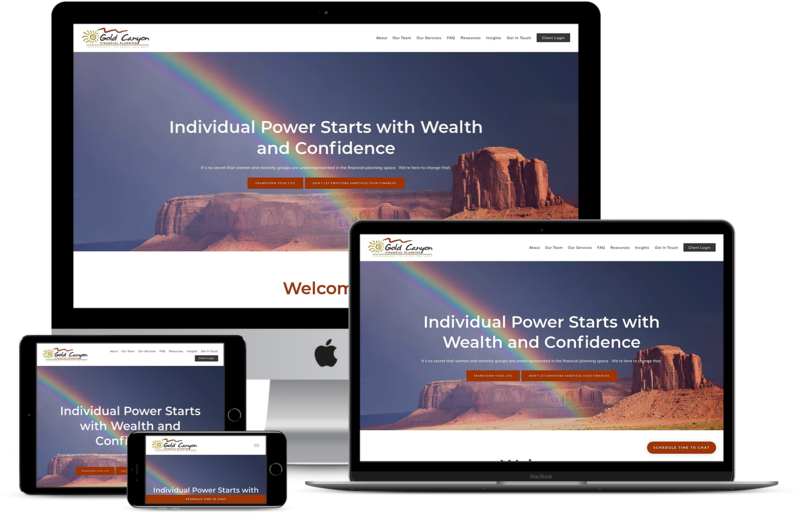 They not only have a fabulous website, but it’s mobile-friendly, which as you know, makes visitors much more likely to check out their website based on the statistics above. We notice immediately in the above image how easy it is to navigate on the website, with all of the pages listed out after you click on the top-right. In addition, the call-to-action of “Schedule Time To Chat” is listed right at the bottom, making it easy to book an appointment or ask a question even on the go! As seen in the image, Gold Canyon’s website looks great whether it is on a desktop computer, laptop, tablet or mobile device. 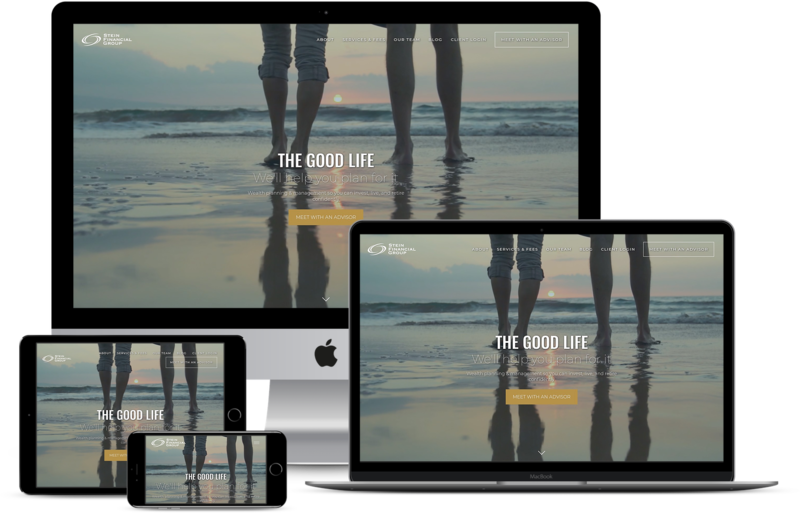 We strive for all of our clients to have fully compatible websites so that they look amazing on every type of device! 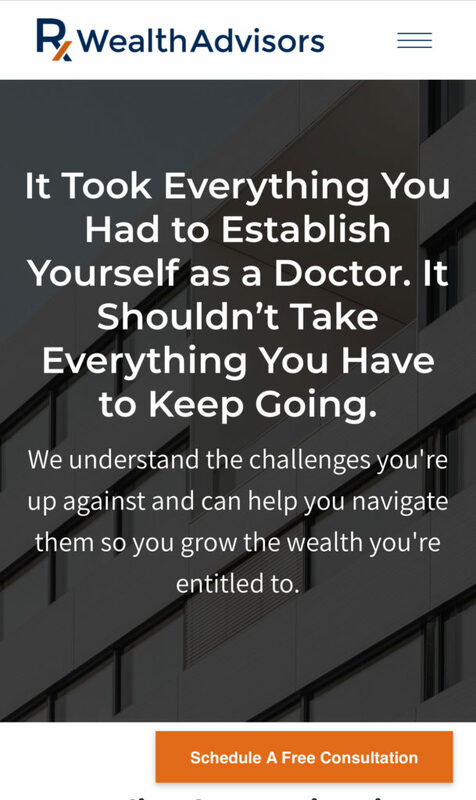 Rx Wealth Advisors was founded in 2018 to provide specialized financial advisement to physicians. At Twenty Over Ten, we really enjoy working with niche businesses, as even though your clientele may be smaller, it narrows it down so that you really get to know who you are working with and how to best serve them. 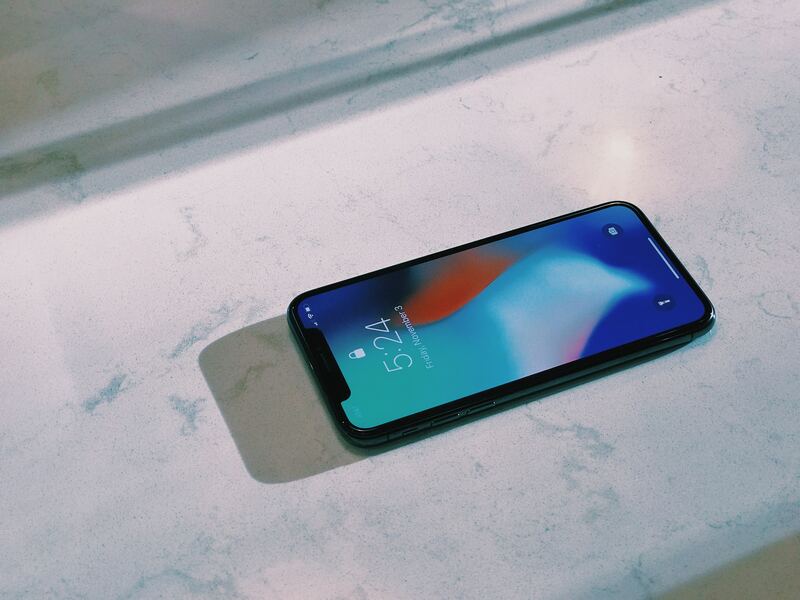 When opening up their website onto your mobile phone, you can very easily navigate the page with the single-scrolling site. There are simple pull-down navigation options in the top right with the ability to “Schedule A Free Consultation” in the CTA in the bottom. People love FREE, so having that in the button makes it even more attractive to prospective clients. As we mentioned above, we love working with niche advisors, and we really enjoyed working with Morling Financial Advisors, a group specializes in ESG (environmental, social and governance) and socially responsible investing. 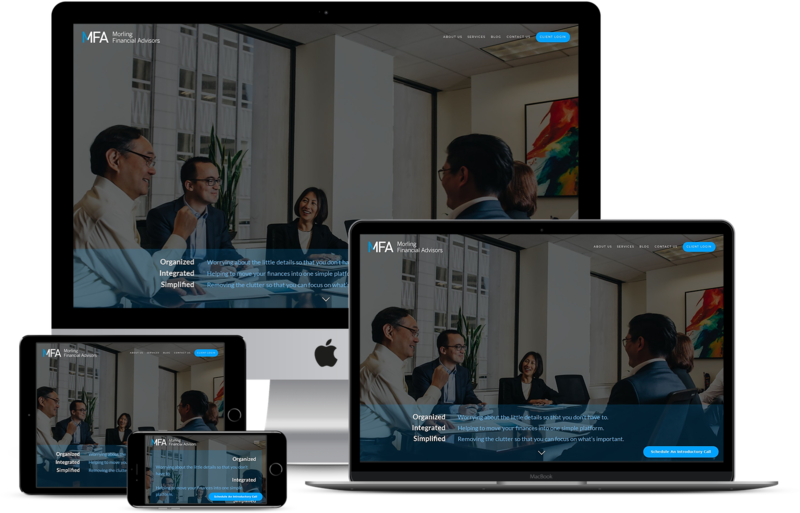 Located in San Francisco, CA, Morling Financial Advisors fits offers a mobile-friendly website, which definitely fits the bill as they like being able to provide for their clients and give back in any way that they can. They offer traditional financial planning, as well as, impact investing, where they strive to invest in a responsible and sustainable way in order to generate competitive financial returns and positive societal and/or environmental impact. In the above image, like the other sites, you can very easily schedule an introductory call with the easy to find CTA located in vibrant blue color at the bottom. 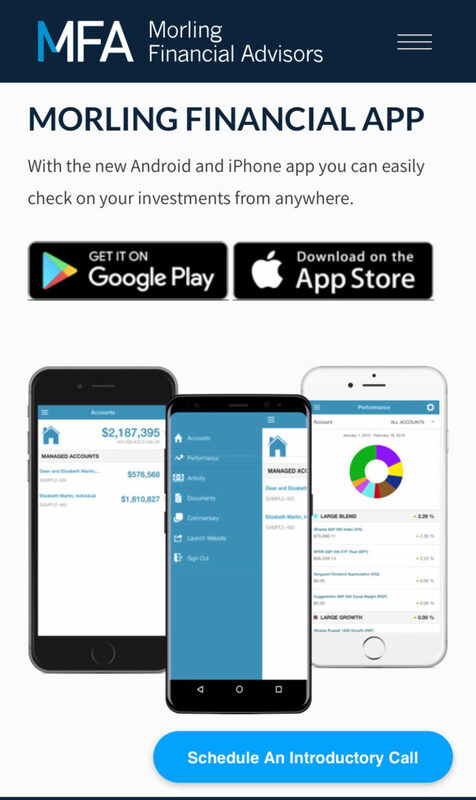 They even have an Android or iPhone app so that you can check your investments from anywhere! It’s as easy as that, and they call this out on their webpage, making mobile access even more convenient. Stein Financial Group, located in Minneapolis, Minnesota, has been in business for 20 years. When you first land on their website you feel a sense of professionalism mixed with a team that knows what they are doing. We absolutely love their website! When you scroll through, with all of the vivid pictures and images, you really do get excited about what retirement has to offer. Scrolling through their mobile site, you see so many pictures of people truly enjoying life with several CTAs sprinkled throughout that will make meeting with an advisor extremely simple. 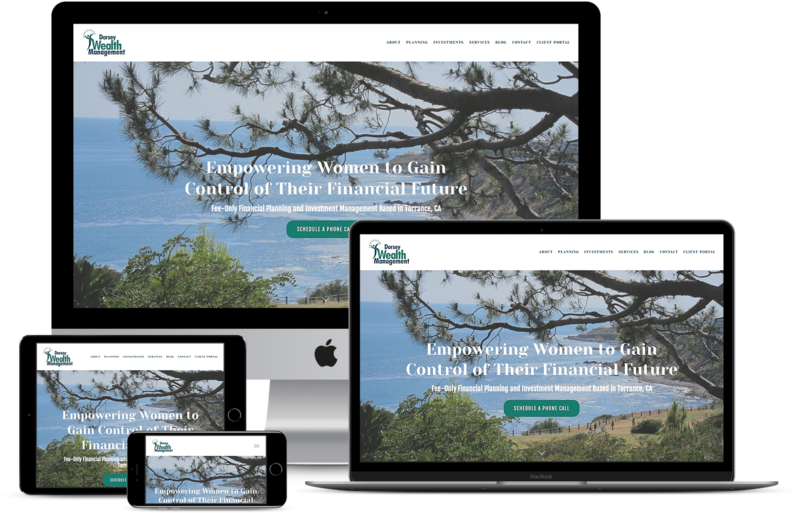 Based in Torrance, California, Dorsey Wealth Management focuses on financial planning for women and is a fee-only advisor that believes it’s her duty to recommends what she sees is best for her clients based on their life goals, risk tolerance, personal and financial situation. 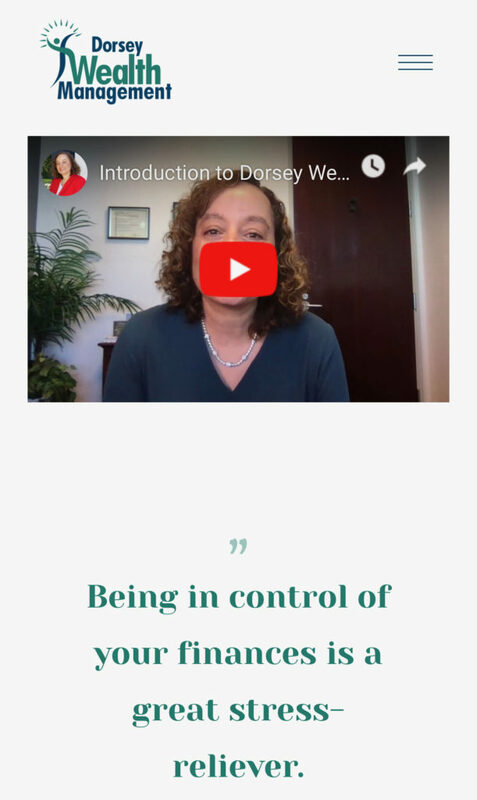 We love when advisors choose to use strong images on their website, and even more when they integrate video as it’s a great way to help visitors remember and you can include a lot of pertinent information in them. In the screengrab from the mobile device, you can very easily watch the video in the single-scrolling site, which is easy for an on the go prospective client. 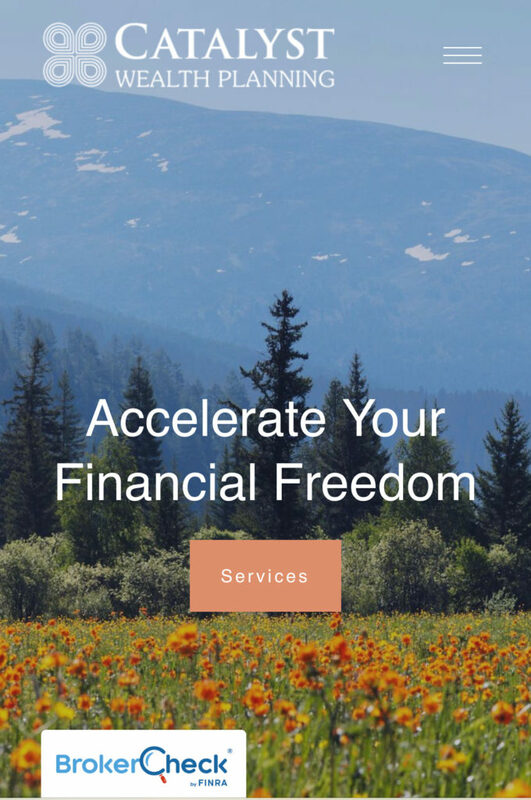 Mountain Pass Planning is a flat-fee financial planning and investment management firm based in Hopewell Junction, New York. 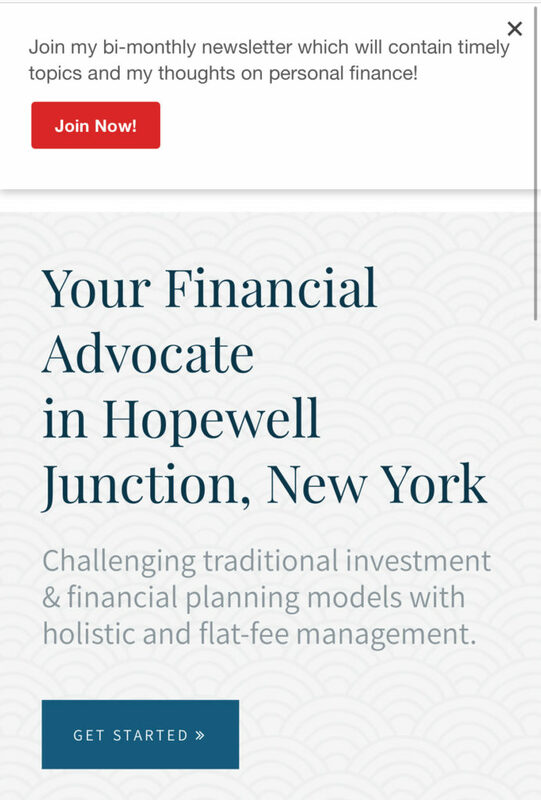 They advocate for our clients with cost-conscious advising. Their cost structure is unique with conservative projections. We love the opportunity right at the top of the mobile site to join the bi-monthly newsletter. 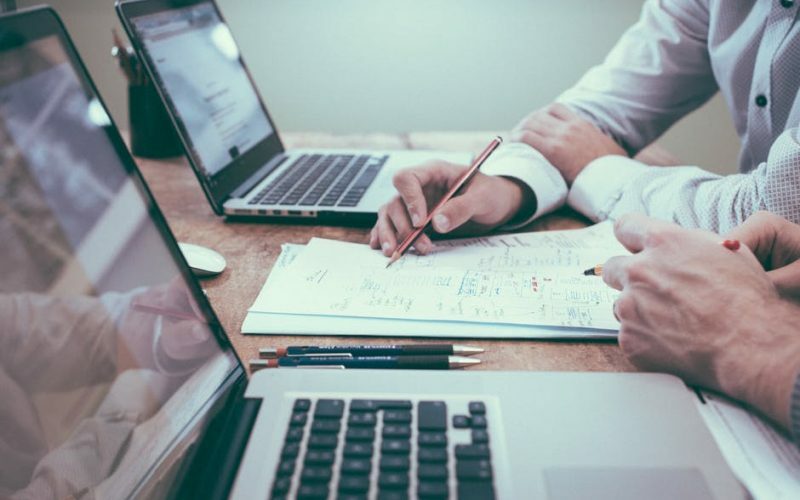 The way that it is written seems like it will be very helpful, and you get the feeling that you are working with an advisor who really cares about the well-being of the clients. 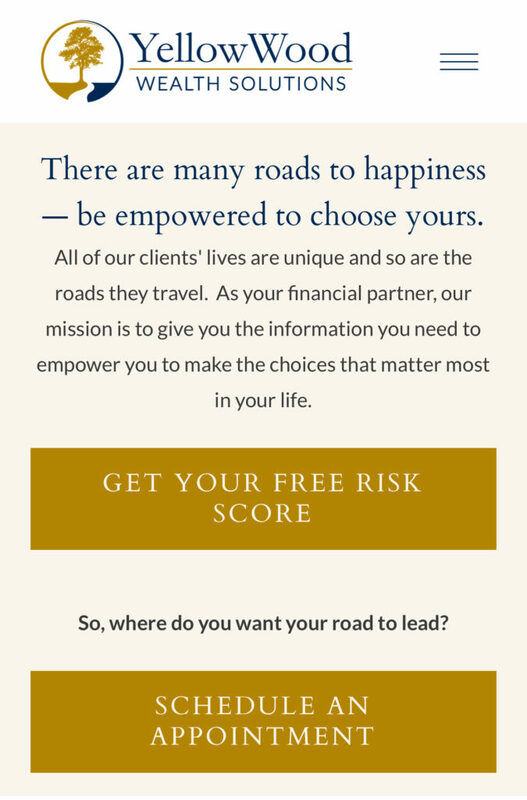 Based out of Charlotte, North Carolina, YellowWood Wealth Solutions believes that every choice made by their clients is an important one that can impact them down the road with an opportunity to advance. You can tell the advisors at YellowWood really care about their clients, and they want to give their clients the best possible tools and the ability to communicate easily with clients. 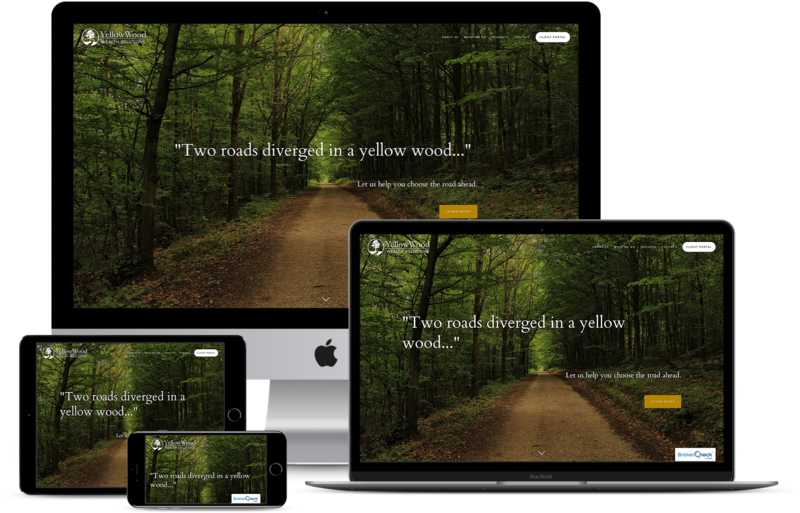 The website of YellowWood Wealth Solutions is easy to read and scroll through, as well. It has the quote, “There are many roads to happiness-be empowered to choose yours,” then with the CTAs beneath, where you can get your risk score or easily schedule an appointment. We like the “So, where do you want your road to lead?” entices the visitor to schedule an appointment and this can all easily be done on your cellphone! 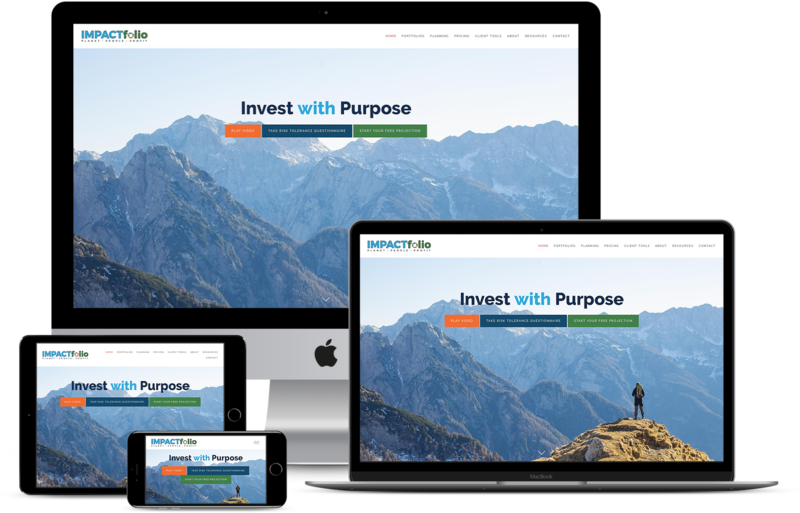 IMPACTfolio, LLC is based in Centennial, CO and is a fee-only fiduciary company that believes that sustainability is a necessity when it comes to running their business. They believe that it is the best way to see long-term results when it comes to long-term profitability. They have a motto of “3 P’s,” which stand for Planet, People and Profit and when these 3 pillars are included, they believe the impact can only be positive. 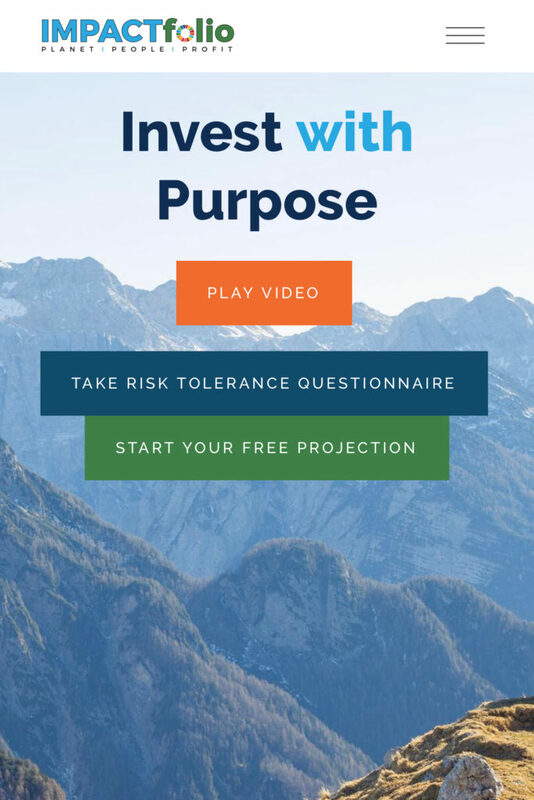 When you open up the website on your mobile device, you immediately notice the 3 CTAs with their comment to “Invest with Purpose.” You can then either play a video, take a risk tolerance questionnaire or start a free projection. With these options so easily laid out on the homepage, it makes it very easy to take the next step, making this a very mobile-friendly website. Based in Richmond, Texas, Blanchard Wealth Partners provides holistic, personalized services to help clients to achieve your financial goals. They provide comprehensive and focused planning on financial planning, wealth management and tax strategies. 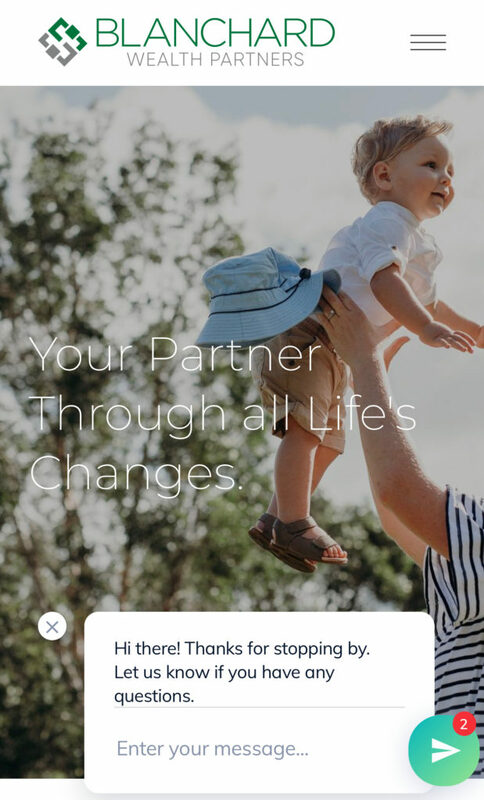 In the home image from Blanchard Wealth Partners, we love that the first thing you see is still the mom tossing his child into the air just like on your desktop. It is a photo that evokes emotion and when you see it, you know that you are in good hands and that these advisors will care about your whole family. Also, the option to send a message with any questions pops up as soon as you open the site, showing just how accessible this company is. Based in Peoria, Illinois, Catalyst Wealth Planning is centered around women in STEM (WiSTEM). 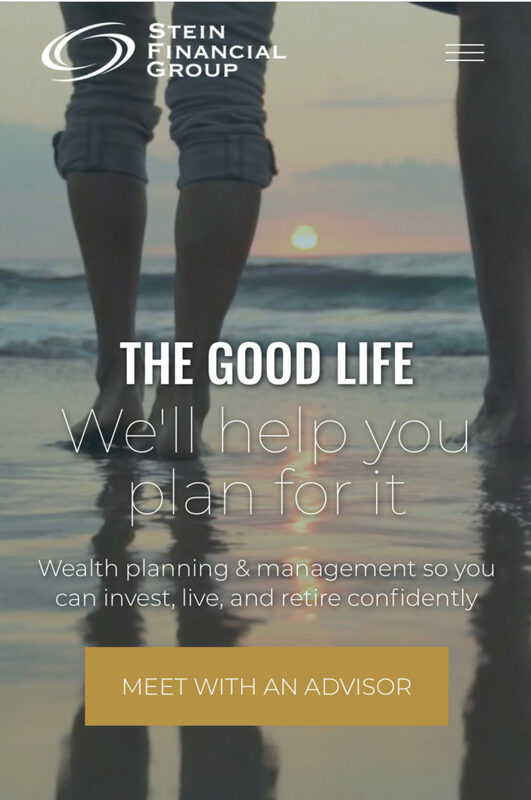 It focuses on meaningful relationships with clients who believe that it is important to focus on family, career, philanthropy and a financial plan to help you live life to the fullest. 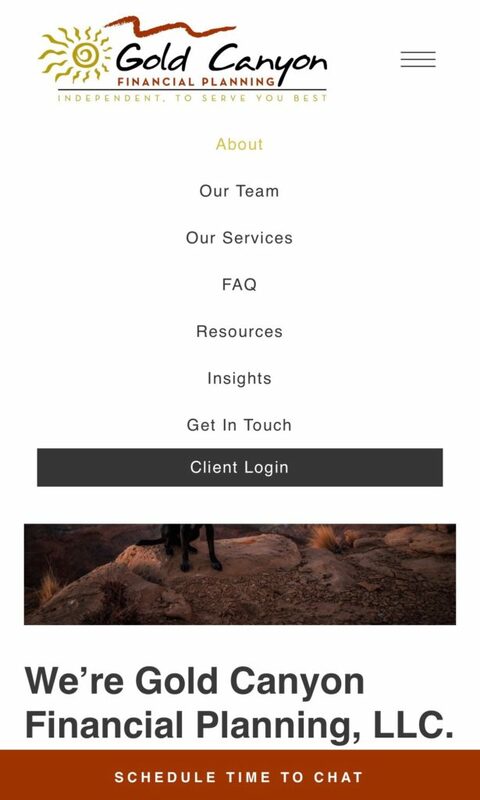 You still see the beautiful homepage on your phone with the ability to click on the CTA for “Services” which then will immediately take you to what is offered at the firm. It’s quick, simple and gets “to the point” which is what you want from a website when you are on the move. 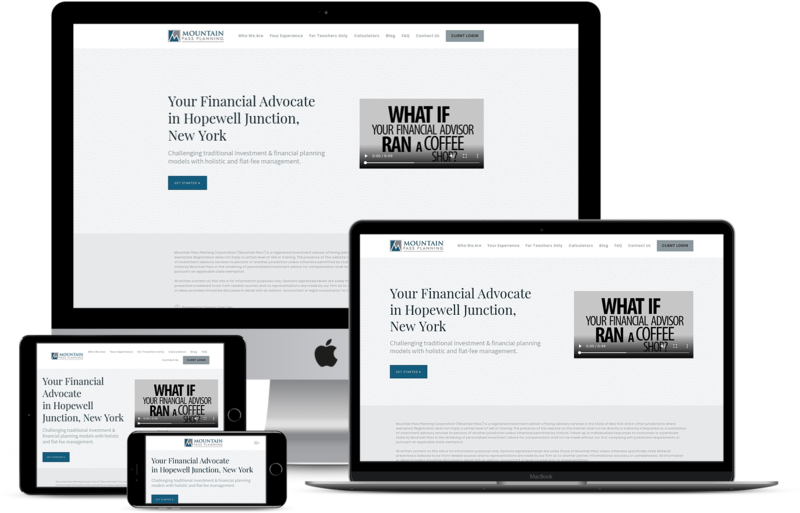 We hope that this blog shows just how important it is to have a mobile-friendly advisor website. When you are busy, the last thing you want to do is look for a financial advisor on your phone just to find that the website won’t load properly. We feel that the featured advisors do a great job of ensuring that everything loads easily and you can very easily find pertinent information even when on your mobile device. 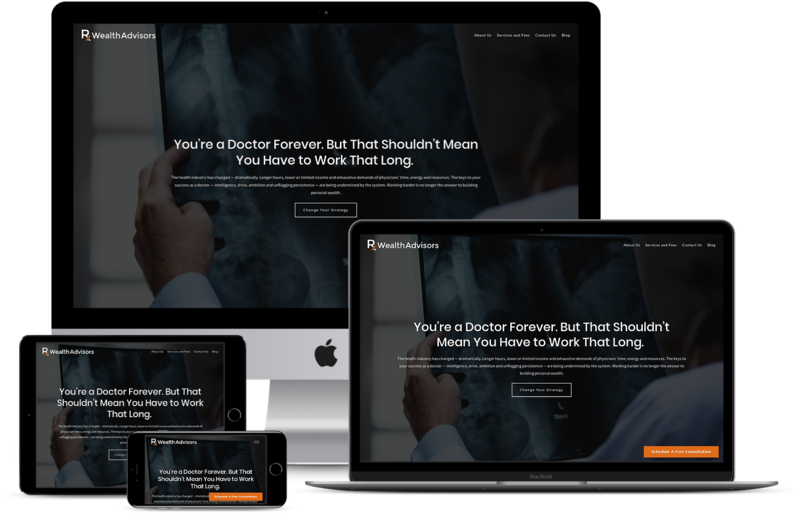 Ready to Take Your Website Mobile?